Welp, third fourth time’s the charm. I finally beat my previous PR of 2:30:52 by coming across the finish line at 2:24:34 (unofficial), an average pace of 11:03! I am beyond thrilled that I achieved my goal and am surprised at how well this race went mentally, but it was a tough race. I think my mental game is what saved me and turned this into my new PR. But I’ll start at the beginning. And by beginning, I mean last night, because I think my dinner might have had something to do with how things went today. I got home from the Women of Faith conference around 6:30 (I’ll post about that later) and was starving. Travis was too and of course, his first suggestion was Mexican (always is!). After my less than enthusiastic reception of that idea, he mentioned that he’d like a steak so we went to Texas Roadhouse. Except everyone and their grandma was there, so we ventured over to Lonestar Steakhouse, which was much less crowded. We ordered their 2 for $25 deal, which included an appetizer, 2 entrees + 1 side each, and a dessert. In short, a lot of food. The appetizer was spinach and artichoke dip (delicious! ), I ordered the Bourbon salmon for my entree with a baked sweet potato (Travis got steak with green beans), and cheesecake for dessert. Everything was delicious… as was my $4 GIANT margarita. It was pretty weak as far as margaritas go (which was good because I’m totally a lightweight) but I left the restaurant feeling a bit more full than I wanted to (and I even took 1/2 of my meal home with me!). 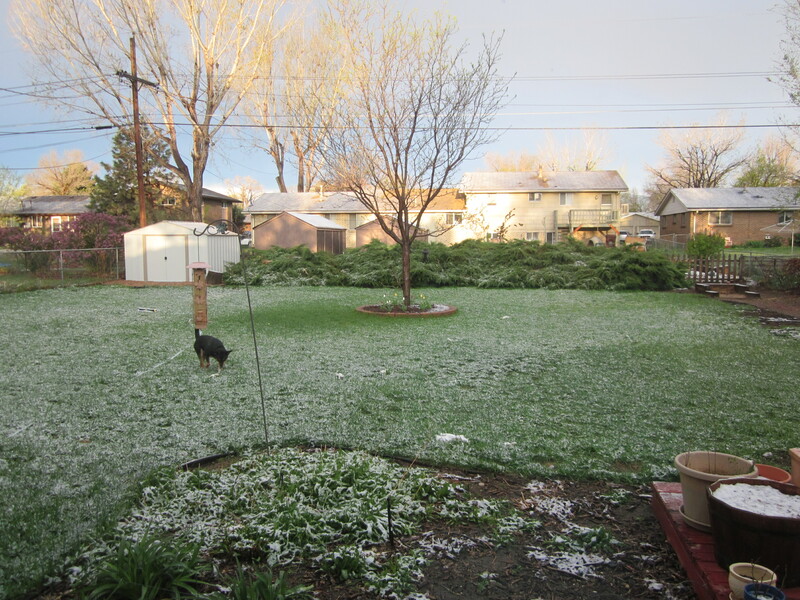 When we got home, I checked the weather report and it said 40 degrees, rain and 25 mph winds from the NW. We would be running north so this was simply perfect weather (ha, not!). I was trying to stay positive as I grabbed my winter and spring running jackets, my 2XU compression tights, a long-sleeve shirt, a t-shirt, my running hat, and Smart Wool socks. I got everything else ready – race directions, course map, gels, Camelbak, coffee for the morning – and went to bed around 9:30. Usually on race morning, I get up right when my alarm goes off because I’m nervous or I realize that I’m not going to get any more sleep anyway. Not this morning. I thought through what I had to do and calculated how long it would take me, so that I could stay in bed as long as possible. I reset my alarm clock and went back to sleep (kind of). Finally, I got up at 6:30. I got dressed, did my hair and makeup, packed my bag (makeup remover wipes which are great for wiping all the salt off my face after the race, flip-flops and a tangelo for post-race), and made my breakfast. I had eaten our last blueberry bagel yesterday morning so I ended up making an unconventional combination of asiago cheese bagel and peanut butter (maybe another contributor to how the race went?). We left around 7:20 and I drank my coffee as we drove down to the race. Packet pickup went very smoothly and I was in and out in about five minutes… leaving us with over an hour to kill. We used the bathroom 3 times. I ate my bagel. We observed a water spillway (Travis is always interested because that’s what he works on at his job) and a mural painting of historic Littleton. There were 3 waves, starting a minute apart – the first was for runners expecting to finish under 1:50, the second for those finishing under 2:10, and the third for the rest of us. The first 2 miles were through downtown Littleton and then we made our way to the greenway trail that follows the Platte River (the same trail that we ran on for the Snowman Stampede). My legs felt strong and I couldn’t really tell whether or not I was running too fast or right on pace. I didn’t catch the first mile marker but I heard Garmins around me beeping, so I clicked my watch. 10:48. Maybe a little fast, but not crazy. I felt the same for Mile 2 but then, my stomach started hurting. It didn’t go away at Mile 3 or Mile 4. At Mile 4.5, I decided to take my first gel to see if it would help. It made things worse by giving me a horrible side stitch. I refuse to walk. I have worked so hard to get here, and I will not let my stomach, my foot, the weather, or anything keep me from a PR. My pace slowed, but I kept running. The pain didn’t go away. So I prayed, Lord, please take away this stomach pain so that I can run this race. He didn’t answer immediately but by Mile 6.5, the pain had subsided considerably. I picked the pace back up and passed a bunch of people. 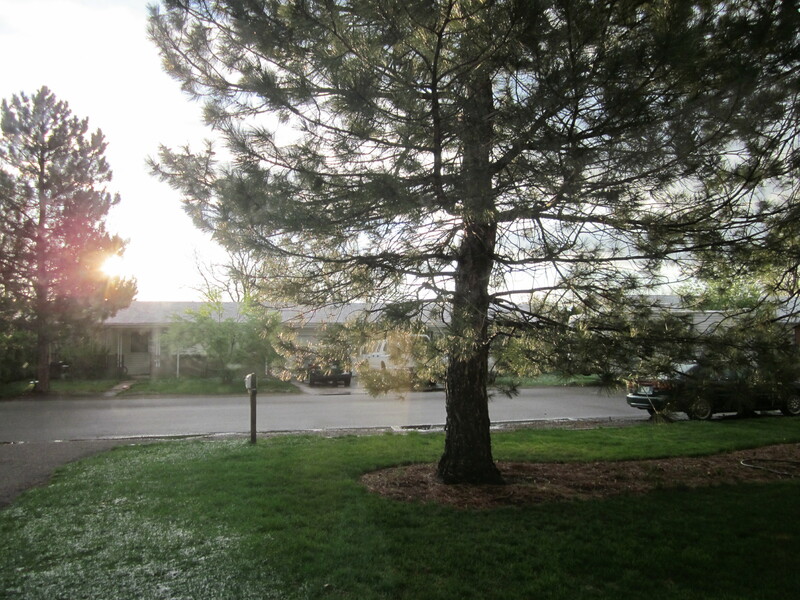 That’s also when the wind started to pick up. By Mile 9, the wind was whipping. The mile marker signs were blown over, cups and sand were blowing everywhere, my hat almost flew off several times. But I was determined, even though my stomach was acting up again. I took my second gel and powered on. The miles kept ticking down. My legs felt fantastic the entire race. 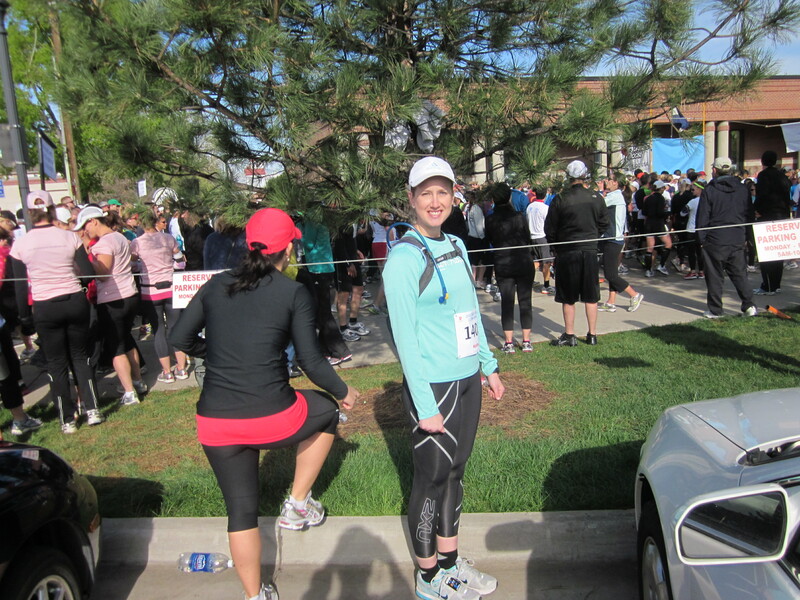 There wasn’t any point in the race that they, or my lungs, felt like the limiting factor. It was all my stomach. Finally, we got to the big hill. The wind was so strong that it almost blew us into the fence as we ran up and over the railroad yard. I didn’t stop running on the hill, and once I got to the top, I knew the end was near so I kicked it. 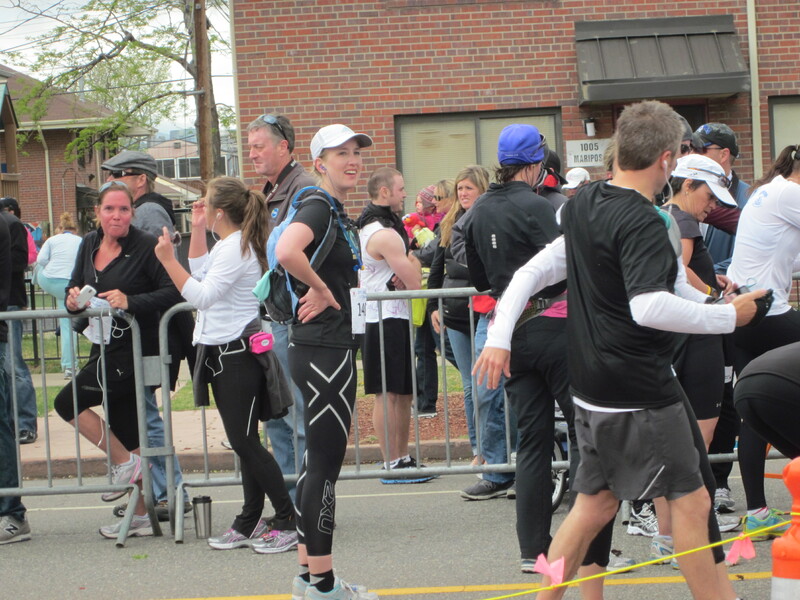 We ran down and turned the corner… there was the finish. I was SO elated. I was going to make it. I was going to PR. Finally! I kicked it a little too eagerly and felt like I was going to puke as I made my way down the finish chute. I glanced at my watch. I could even beat my unofficial PR from last weekend! So I kept running, toeing the line of running as fast as I could without puking. Even though the course was a net 120 feet loss, the course has quite a few underpasses, meaning downhill and uphill. Those hills weren’t too bad, but the overpass at mile 12 was a doozy. 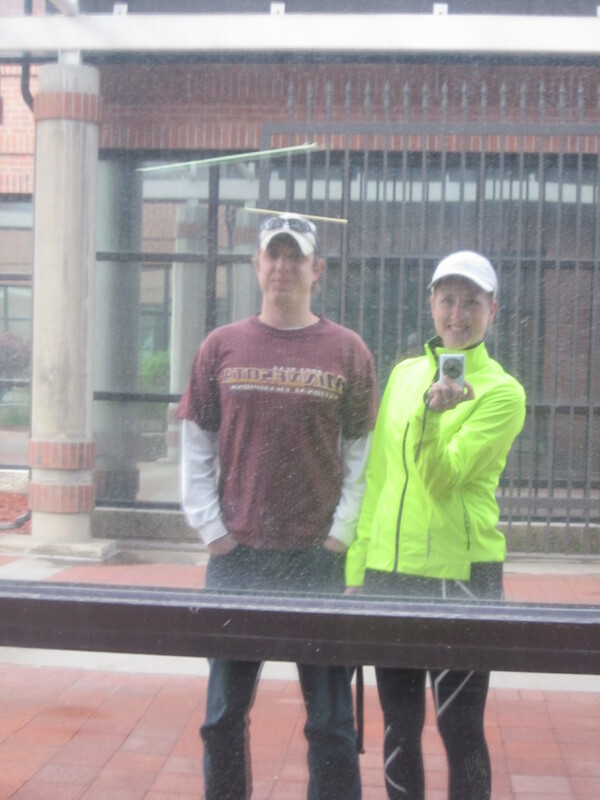 After I got my medal, I met up with Travis and Heidi (who also ran the race) and we went in search of food. The post-race food was spread around the block… literally. Down one street were apples, bananas, fruit strips, and mini Clif bars. Down the other was the lunch, which I heard included hamburgers, breakfast burritos, fish tacos, and other stuff. Honestly, absolutely nothing sounded good. I didn’t feel hungry. The wind was still whipping while the temperature cooled off. And the lunch line seemed to be several hundred people long and not moving an inch (what was up with that?). Standing in line, in the cold, for a lunch that I wasn’t even sure I wanted (usually I give it to Travis but he had picked up McDonald’s…naughty) wasn’t particularly appealing. So we ended up just leaving. Part of me wanted to get the lunch just so I could say I had gotten my money’s worth for the race. I wasn’t hungry when I got home either. I took a long, hot shower, drank an Athlete’s HoneyMilk protein drink, and knew I should eat something else, and actually felt hungry, but everything sounded unappealing. I forced myself to eat a bowl of cereal, called my mom and then finished reading The Tipping Point (great book!). 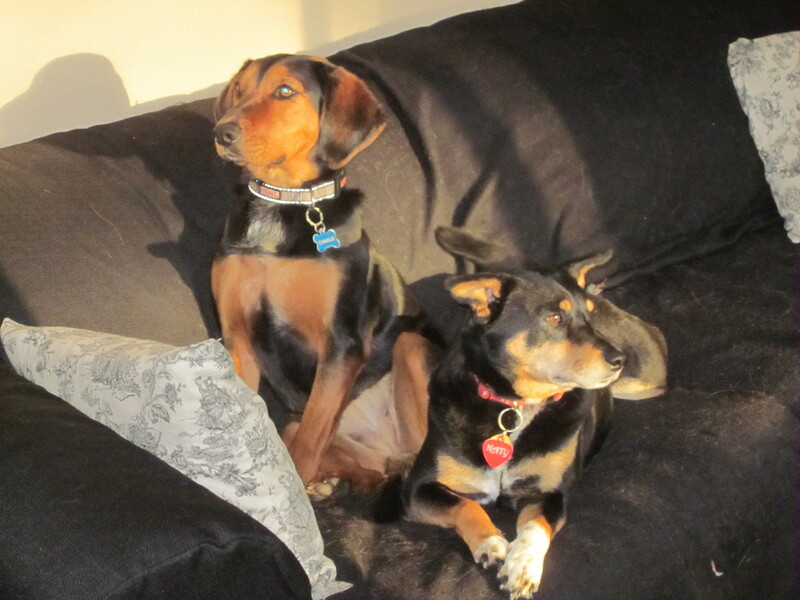 After a trip to Sports Authority, a walk with the pooches, and some other hodge-podge eating, I’m now blogging and will enjoy a glass of red wine shortly. I wish tomorrow was Sunday instead of Monday! 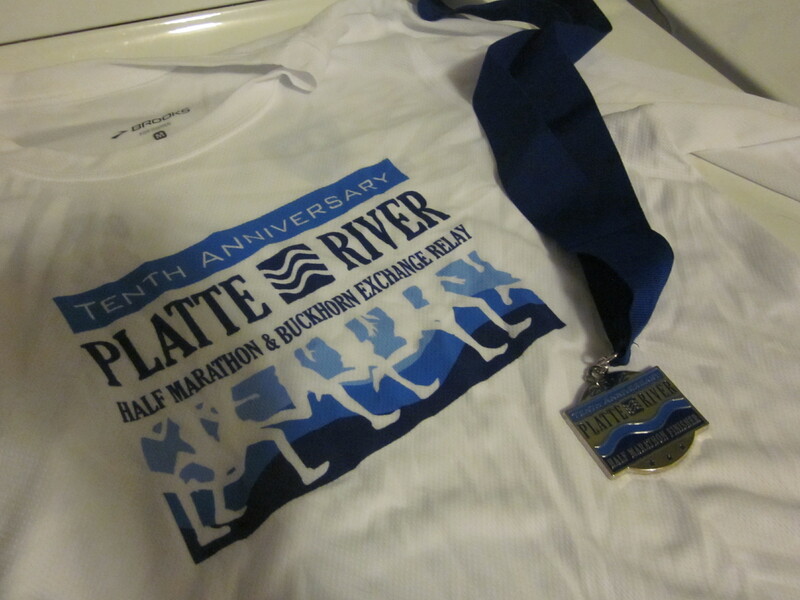 Overall, the Platte River Half Marathon was very well-done. They were very organized, started on time, the aid stations were well-stocked (though I didn’t use any of it), had lots of volunteers and portapoos and the t-shirt and medal are cute. The shirt is a long-sleeve too, which I’m excited about. The only small complaint I have is about the lunch line – I don’t know why the line was so long, or what we were waiting for, but it seemed kind of ridiculous for tired, hungry runners to have to stand in such a long line for their food. Otherwise, I would definitely recommend this race! Are you hungry after long runs/races? Nice work lady!! Sounds like a great race – and love that you were able to turn to the Lord for strength and He totally carried you through. Love that. Yay! Way to crush that old PR!!! Hope you can enjoy a couple well-deserved recovery days! Yay for your PR! That last hill was brutal and the wind was unforgiving, but you did awesome! 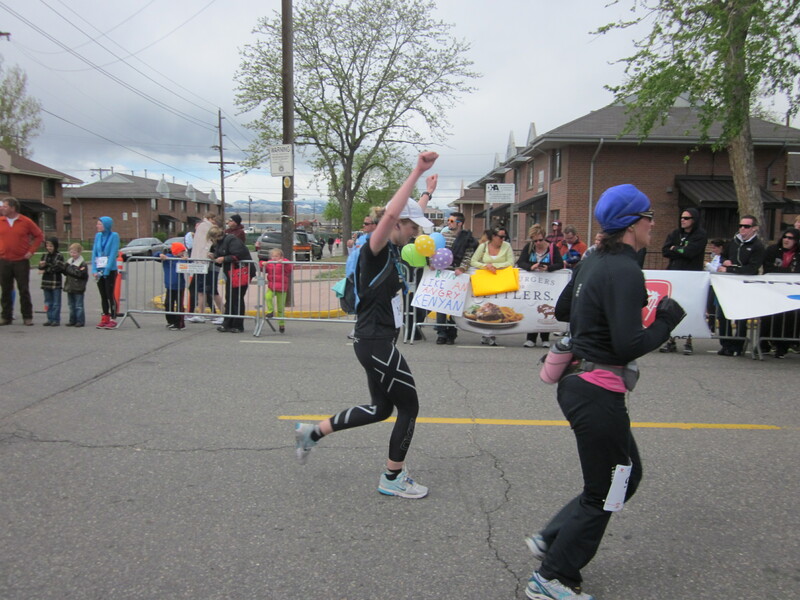 And I love that photo Travis snapped just before you crossed the finish line! You earned that PR!